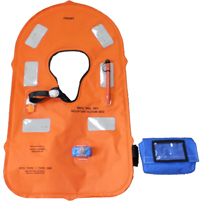 ROARING FORTIES™ 50A single chamber inflatable jacket is used by the Indonesian Navy and has a NATO number. 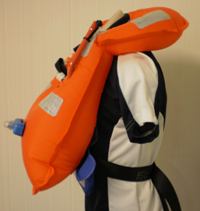 It operates with a 33gm CO2 disposable cylinder and has a buoyancy of >156 newtons (16kg or 35lb). There is a water activated light attachment & also a lifting becket. 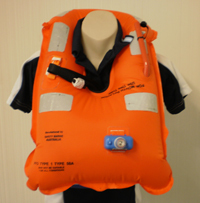 The lifejacket takes less than 5 seconds to right a person to a safe inclined position. 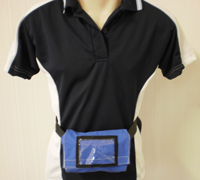 It can be packed in a pouch or neck valise. Spray hood can also be attached as an option.